Real Murders is written by Charlaine Harris, and is the first volume in the series: Aurora Teagarden Mystery. 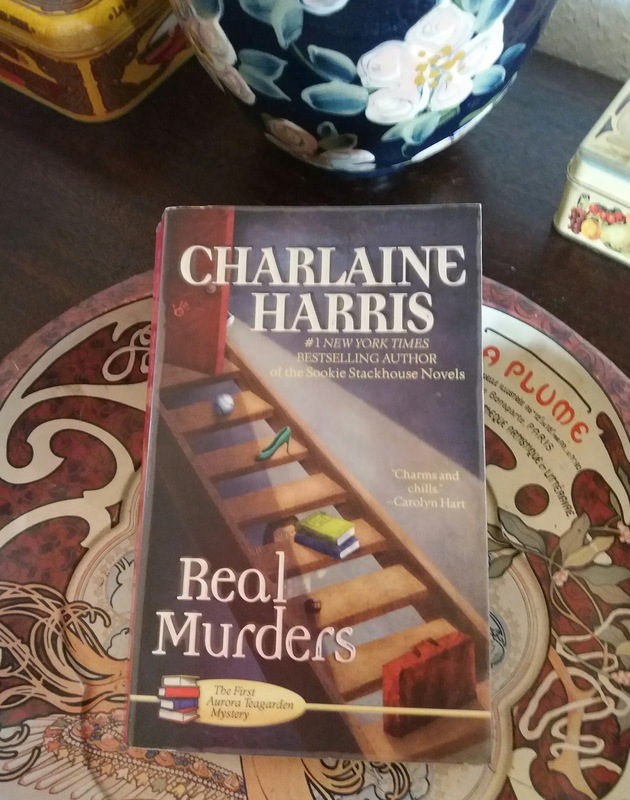 Aurora Teagarden (Roe) is a librarian and a member of Real Murders Club, who meets once a month and in turn tells and analyzes a murder, which has taken place in the real world. At the meeting Roe is going to tell about a murder, but she never gets to do it as she finds one of the members killed. The murder is a copy of the murder she should have told about, and then various copy-murders take place. Everyone in the club are suspects and everyone is in danger.